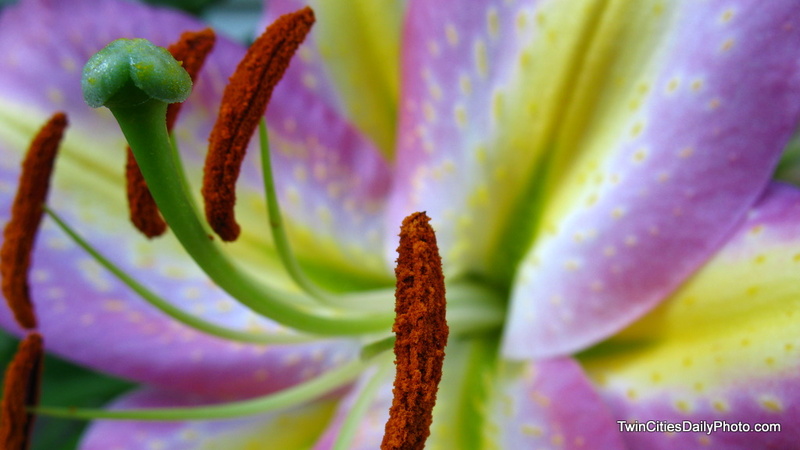 Every year I wait for my Stargazer Lily's to bloom....this was the week! Naturally I had to photograph them in full bloom. I really need to find more of this type to plant or figure out if these can be split or how to grow more stems. I like this a lot, the colors and the way you have cropped the photograph. It is a beautiful lily. The colours and hues are spectacular and I can well imagine that you were pleasantly surprised at its varied colour. Stunning! More than a lily, a work of art - which is very corny to say, I know. Just so love your photograph. I think lilies are bulbs so you'd wait until more are produced and then dig up and separate them. This is so creative, beautiful and executed brilliantly.